Autumn is here and with it comes the pleasure of slow cooking and rich, unctuous flavours to keep the chills at bay. In the lead up to a decadent Christmas, it may also be a time for a bit of budgeting and belt-tightening. Reducing how much you spend on cuts, by no means limits the potential for incredible flavour. If you’re looking for the cheaper cuts of meat, look to the front of the animal. Meat taken from the fore end is not only the best value, it is also the sweetest tasting. 70% of the animal’s weight is held up by the front legs, increasing muscle bulk and adding great fat marbling. 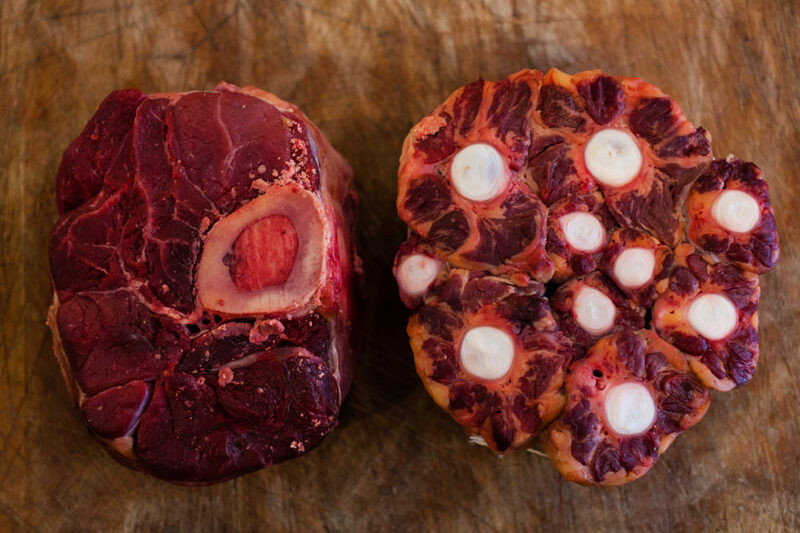 With all its muscle structure and connective tissue, fore end meat needs to be cooked long and slow to break down the muscles, while the extra fat will add flavour and baste the meat to increase moisture, leaving it juicy and tender. 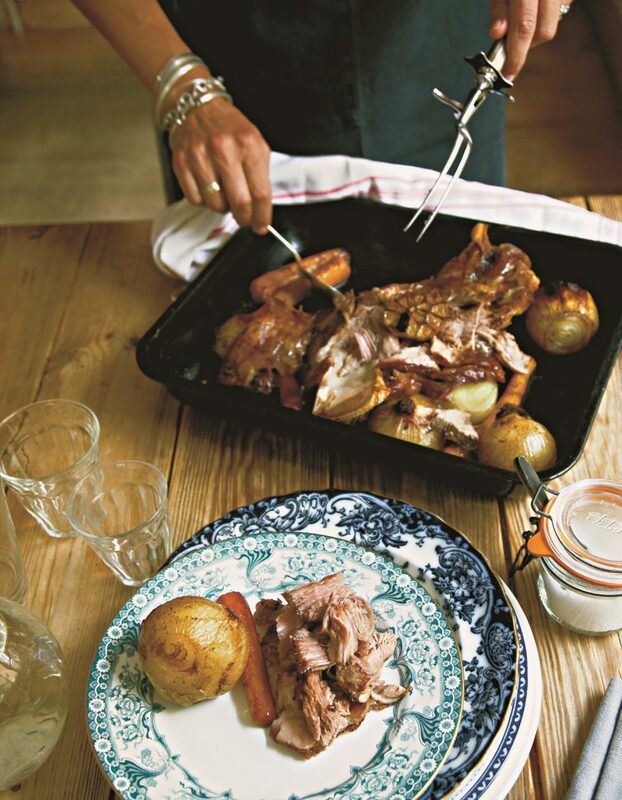 Hock – Ideal for slow, pot roasting. Ham hock can last for a good few meals. Shoulder – Slow roasted whole or deboned, this is a fantastically economical cut for a gathering of people. It can also be diced or minced for great casseroles, sausages, terrines and pies. Hand & spring – This cut comes from the lower part of the shoulder/upper part of the front leg. It is great for slow roasting with vegetables. Blade bone – The top side of the shoulder, this cut can be boned and stuffed, slow-roasted and braised. Neck – One of the cheapest cuts of beef, this is fantastic for hearty casseroles and stews. Clod/sticking – A very rich cut of meat, again good for stews and casseroles. Jew’s fillet/round blade – This is a great value, fillet-shaped cut of meat, taken from the top rib. Slow cooking melts the gristle running through its centre. Fore shin – Ideal for rich and unctuous casseroles, e.g. with Cipollini onions and balsamic vinegar (recipe in the GP Meat Book). Neck/scrag end – This cut is from the top of the neck is delicious slow roasted on the bone. Great for a Lancashire hot pot. Shoulder, blade side – Boned and rolled, this joint is great for stuffing and slow or pot roasting. The natural fat bastes the meat while cooking. Keeping it on the bone adds extra flavour. Shin – Unsurprisingly from the front of the leg, this cut can be sold as part of the shoulder or on its own. Great for braising or pot roasting. Liver – At a fraction of the price, this is almost as good as calves’ liver. Check with your butcher that it is really fresh and lightly pan-fry or grill with seasonal vegetables. 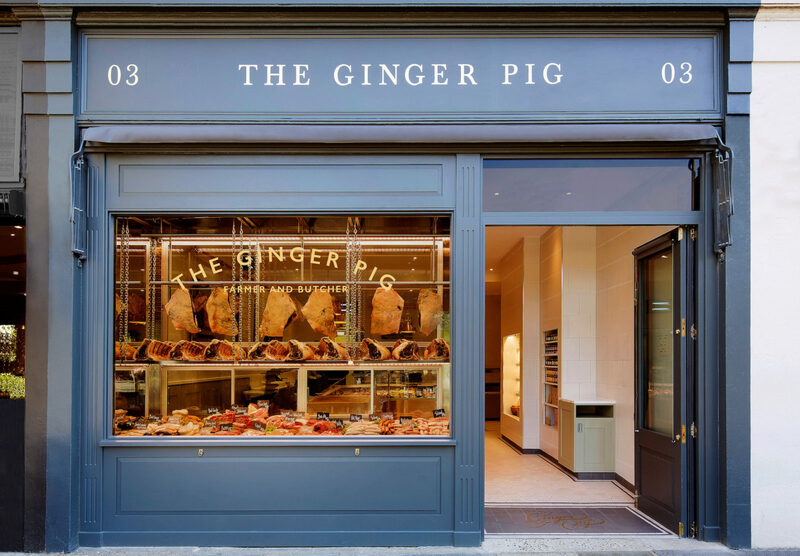 For more information on The Ginger Pig and where to buy, visit the website here.